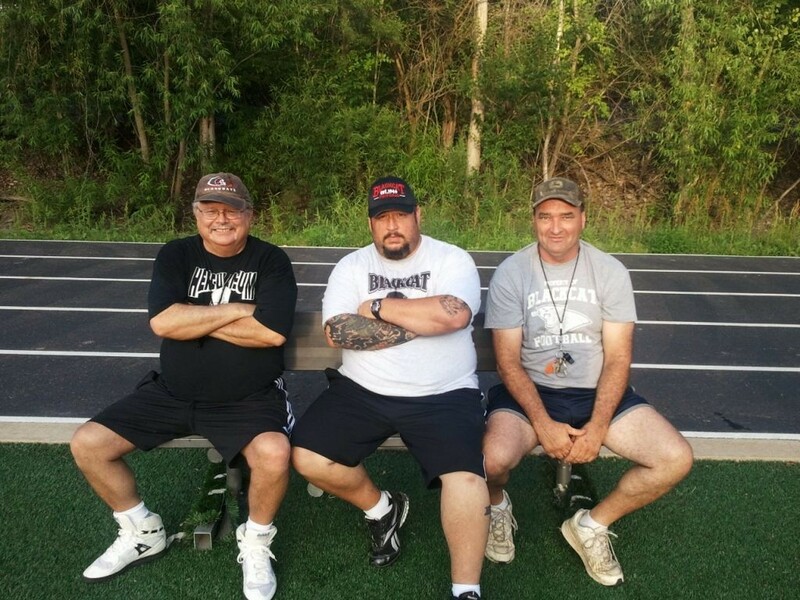 Since I have been coaching high school football, I have been forced to coach with the Almany Brothers, Jim and Tom. Here I am surrounded an nowhere to go. Honestly, They are great coaches and great guys. their football knowledge is unbelievable. They are a definite asset to our program. Man, I can't believe I am complimenting these guys. This is the picture of the day.